OMG! It has been so long since my last post, but so many things had got on my way. Trips, family obligations , sickness, my college classes, among others, however, I don't want to bore you with that. Instead I am coming back participating in one of my favorite challenges and perhaps the one I consider most difficult because of the amount of talented people who enter every time. 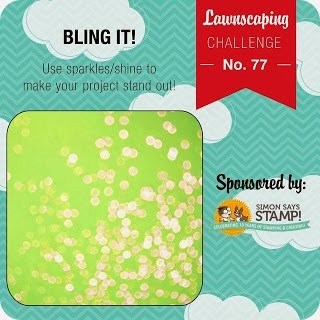 Lawnscaping Challenge No 77 Bling it! This challenge is all about making your project sparkle. With all the social media boom going on, I wanted to create a card which reflects a lot of that in it. Photo bombing is one of the latest trends in social media. 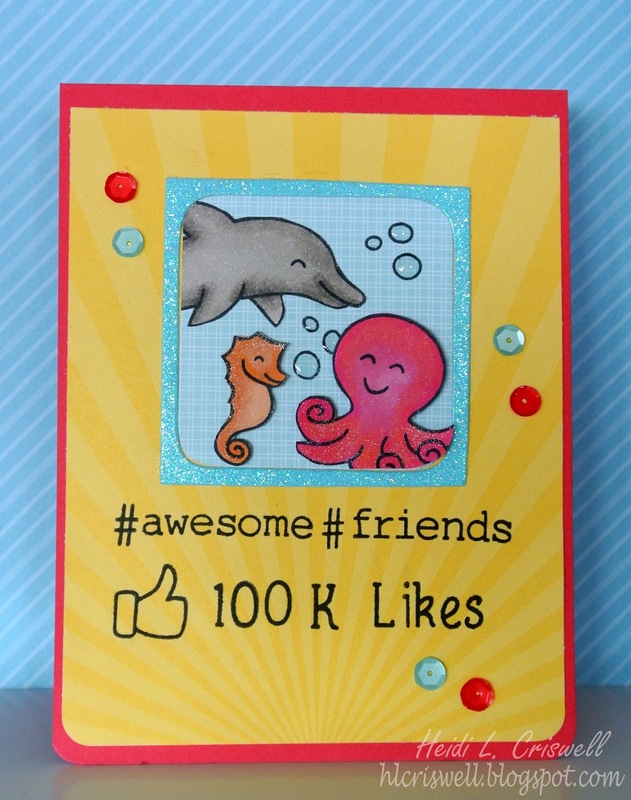 This is what inspired me to created this card in which this cute little dolphin tries to photo bomb the jelly fish and the seahorse, but is all good because they are all good friends. I hope you'll enjoy it! Others: adhesive, paper trimmer, Wink of Stella glitter pen in clear, glossy accents. What a clever idea for a card! Teehee! That is awesome that you have the dolphin photo bombing the other sea critters. So fun! Totally love it. Thanks for playing with us at Lawnscaping! Thanks so much for that big like and thanks for stopping by!